It’s hard to believe that I’ve been blogging for three years now. Back then, I had a three-almost-four-year-old boy who worried me because he liked everything intended for a she. I started this blog to connect with other families raising slightly effeminate, possibly gay sons and to get advice from LGBTQ teens, adults and their parents about raising the next generation of the community. The first thing I learned from my readers is that my son’s effeminacy isn’t about his sexuality — it’s about his gender. If I had never started the blog I might still be trying to figure out that and so many other things. I’ve felt a lot of anxiety during these three years. Risk has always been a negative four-letter word for me and all of this has felt risky: starting a blog; sharing a part of our family with who knows who; admitting that my son plays with “girl things” and “wears girl clothes” and that, at times, it made me feel uncomfortable; speaking out; writing a book; outing my family; learning to live without being ruled by fear; and beginning to advocate openly. It would have been so much easier to spend the last three years working my day job, running the home, caring for my kids, shopping online, perusing the boredom trifecta of Facebook/Instagram/Pinterest; and learning new skills, like knitting or how to cook rice without a rice cooker. But, none of that would have helped me grow up and grow as a person as much as this blog, book and raising a child with unique needs have. I wouldn’t change a thing about my life, my path, my family, my friends or the last three years. It’s been amazing and I’ve been blessed. Four months ago, on the morning of September 3, I got out of bed, put on my new blue dress and tried to use hair and makeup, smoke and mirrors and compression undergarments to disguise the fact that I hadn’t been sleeping well and had been eating my feelings for weeks. I was preparing myself to be — the moment the cameras started rolling with me on the couch of The TODAY Show – to be the most hated woman and mother in America. It was a risk I was willing to take. Wholeheartedly. I’d been watching for years as very vocal members of the public and media bashed, threatened and harassed moms like me; moms who are open about and unashamed of having a child who is differently-gendered and/or openly homosexual. And, I was next, I thought. I mean, I had taken some heat, but nothing compared to that felt by others. Matt and I did our interview on The TODAY Show and no sooner were we off the couch than I received my first hate email resulting from the appearance. “Here it goes,” I thought to myself. Then came the emails of support and cries for help. Before the end of the day, I had more than 300 emails. And, as it has been since I started my blog, for every email of hate, I received dozens of emails from people who were glad they had found my blog and book. I wasn’t hated, no, more than that, I was feeling the love. And, by revealing our identities, we had done a lot to quiet two large groups of our haters. Those who believed for years that my blog and family are works of fiction. We aren’t and we proved that when people got to see us in the flesh. Look! We’re real! We live and breathe! I’ve gotten really good at ignoring negativity. And, there’s still a lot of it out there. Do I read the comments made in response to what I write? Comments made on this blog? Yes, every single one. Comments made on other websites where my essays are posted. No. I can’t. It’s not healthy for me. And, I don’t publish the few, random negative comments that people attempt to make on my blog. I used to feel bad trashing the negative comments on my blog, like I wasn’t being honest or fair or giving everyone a voice or showing both sides of the story. But, you know what? It’s my blog. Everyone has a voice. I have one here. If haters want to be heard, they can start their own blog for me to not read. This is the year when I realized that I’ve grown up a ton since the start of all this. At 36, I finally feel like a full-fledged grown up. I want to do something with my life when and where I can. At last, I proudly, comfortably, fell like an adult and, I feel like raising a child like C.J., writing this blog, my book and advocating are the main reasons why. When I first started writing, I would be experiencing something in life and think “a blog post is happening right now.” That doesn’t happen as often any more. I have to be thankful for it, because it means that we are so totally comfortable with C.J.’s gender nonconformity that it doesn’t steal the spotlight, it isn’t a focal point, it doesn’t call out to get our attention and make us feel uncomfortable, worried, anxious or hope that others aren’t looking. It’s just a part of him. We have come to a place of total acceptance. If you’ve been reading my blog for long, I’m sure you’ve noticed it. My writing style has changed, I’ve stopped using wit and sass to deal with my uneasy feelings about the many facets of his gender creativeness and I’ve just started being really, really honest about my feelings. I’ve become more sincere. Allowing C.J. to be 100 percent C.J., helped me to be 100 percent me. With the publication of my book and coming out, I feel like I’ve aligned and merged the two lives I felt I was living. There was blog life and real life. Now there is just one life. It’s easier that way, isn’t it? What’s next? This. This blog. This life. This family. And you, I hope. This entry was posted in All Posts and tagged gender creative, gender nonconforming, Gender Stereotypes, homosexual, LGBTQ, Orange County, parenting, Raising My Rainbow, The Today Show. Bookmark the permalink. 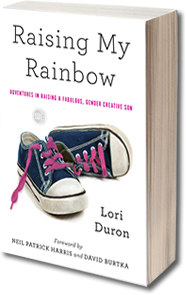 63 Responses to Reflections: Raising My Rainbow Turns 3! I fully support you and I am so grateful for your thoughtful blog. Thank you. As always dear Lori–well said–thank you for your words of wisdom. My middle son has been a ‘boy princess’ (his words, not mine!) since he was born. When I read your book, it was like someone had entered my mind and was telling our story. We have been through the exact same struggles with our 4 year old rainbow boy. Your book gave me the courage to stop setting limits on what he was ‘allowed’ to wear out of the house and to fully embrace this ‘girly’ side of him. The result? A happier child who is so content and secure in who he is. We have gotten negative feedback from some but are lucky that we have dear friends and a wonderful preschool that support us. Thank you so much for sharing your story. I know we have a long road ahead of us and it helps to know we are not alone. What an amazing blog, and an amazing attitude. I have so much admiration for parents who don’t force gender ‘norms’ on their children. I can’t wrap my head around the arguement that some people use that children cannot have the level of understanding needed to make such a big decision about the expression of their true gender identity, to my way of seeing it, surely the exact reverse is true, in that children do not technically ‘make a decision’ and it is something that is ‘built in’ and is something they naturally feel/know. let’s be real though- there is no good reason to make rice without a rice cooker. Congrats on 3 years! CJ and Chase are lucky to have such a great mom. My daughter is a girly girl and I still think of you and CJ and this blog when I’m explaining things to her. The other day, she told me that she didn’t like a certain shirt (pink with butterfiles, that she would normally love.) because now she was a tomboy. I told her that if she wanted to be a tomboy all the time, great. But, she could also decide to wear “tomboy” stuff one day and girly stuff the next. She got a HUGE smile on her face. She hadn’t really realized that she didn’t have to choose a pigeon hole to be in! She could try out all different things for herself. I was so excited to read this! I have had a similar experience raising my daughter. Her choices never bothered me, they just bothered everyone else! Now that she is a teen, she has the ability to wisely choose for herself, having been comfortable in a gender neutral family. Of course, she was much easier to raise because she is deaf. Thus, the comments about “my daughter” or the use of the pronoun “she” were minimized! I thank G-d for people like you, for parents like you. Your boys are very lucky, I wish all children had such loving homes. There will always be some intolerant prick who can’t function without treating anyone different from themself as a second class citizen, but the truth is, they’re the one without class. I don’t even know you and I’m proud of you, you’re amazing! wow. being transgender one forgets that parents, brothers and sisters, sons and daughters; are having to go through so many changes with us. my sister and my son on in the beginning stages of learning. i tried to give them an opt out option by offering to disappear from their lives, which i am more than willing to do. that is because my transition is not something i selected. its something i have to deal with. i don’t like all the negativity and isolation, the danger and the wickedness of those who should know better. its like i am having to fight people i don’t even know. to place my sister and my son in that position is not something i want to do. but you had no choice. a child is so innocent in this. parents must react to best support that child. blessings flow to you. I have two daughters and two sons. From what I can tell, they are all “gender-conforming” (this terminology is all new to me – as of TODAY! Sorry if I use terms incorrectly in my comment) But I absolutely DETEST how gendered everything for children is in 2014 in the United States. I grew up in Europe in the 1970’s/80’s and so I don’t know if it’s a time thing or a place thing (or both) or just my family, but things were not like this when I was little. Having four children, I see that they are all drawn to different things (my first daughter has loved baby dolls since she was a baby herself, my second daughter couldn’t care less about dolls; my first son loves all things with wheels, my second son prefers horses and balls). But why do there have to be “boy clothes” and “girl clothes” and “boy toys” and “girl toys.” You seem to use those terms a LOT on your blog, and you discuss (wonderfully!) how you embrace your son wanting “girl things.” But why aren’t you questioning the mere existence of boy/girl clothes/toys. Yes, I get that generally in our culture dresses and skirts are worn by girls and women, and I don’t mean that everyone should start putting their baby boys in dresses (again… you know, like they wore 150 years ago…) BUT why do like 80% of kids’ clothes and toys have to be SO gender-specific?? As someone with two girls followed by two boys, it makes me crazy that I can’t pass down something as simple as winter hats, because the vast majority of hats I can find at Target the day that the temperature suddenly drops are SO clearly geared toward one gender or the other. Same thing with things like bicycles and sippy cups and just about every other damn thing out there. It’s MADDENING! WHY do we have to separate every thing having to do with children into boy and girl stuff? Why are we so obsessed with segregating what boys and girls should play with, and with dressing our newborns in a way that leaves no doubt to anyone passing by whether they are a boy or a girl? When I was growing up, my brother and I shared most of our toys. Sure at some point he stopped playing with the toy kitchen and I was never really all that interested in playing with toy trains – so I guess in that sense we were “gender conforming” – but it wasn’t really a huge deal. I’m pretty sure if he’d continued to play house and I’d been really into the train set, no one would have made a big deal over it. I know ALL of my baby clothes were passed down to my brother, and then my girl cousin after him. Somehow I grew up knowing that I’m female, even though I wasn’t clothed exclusively in pink with giant bows taped to my head. So my question is – rather than arguing so hard that your son should be allowed to play with “girl” toys, why aren’t you saying there should be no “girl toys?” I very much see your love for your son, and I think you are brave and a good mother, and have amazingly found a way to respect his privacy while talking very publicly about him, so this isn’t a personal criticism. I just wonder, couldn’t CJ be a really powerful reason for us to question why we have this ridiculous obsession with making sure all baby and child products are gender-specific? Given your question about how everything became so gendered for children, you would probably find the book Pink and Blue: Telling the Girls From the Boys in America by Jo Paoletti very interesting. She is an historian who spent decades studying the issue. I found the book fascinating. I am especially interested in the questions you ask. I am a 61 year old man who quite by accident discovered last spring that I really enjoy wearing skirts because of how comfortable I find them. I am like CJ in that I am no longer gender conforming, but my reason is quite different. So I would like to extend your question and ask not just why children’s clothes need to be gendered but why also must it be true for adult clothes as well. One day CJ will be an adult. What if he comes to feel that he is a heterosexual male, but still likes to wear skirts/dresses some of the time? Or do we draw line between childhood and adulthood? You go girl. You and Matt are doing what you know to do with what you’ve been given…and ain’t it grand? Yay for living for today and in the moment and feeling blessed! Long-time reader but commenting for the first time. I don’t have kids myself, but I have a bunch of nieces and nephews in age range of 1-15 years old – some of them with interests that are not fully aligned with their genders. I’ve already had some discussions with my siblings about letting their kids be who they are, and can see it happening in the future, too. I was actually inspired to comment because of the boy/girl book topic. That post totally struck me – I hadn’t realized in my almost 40 years that such a concept as boy/girl books exists! I read everything (and I mean EVERYTHING) when I was a kid, and I have bought tons of books as gifts to nieces, nephews, godsons, goddaughters and other children in my life. They have always been aligned with their interests, not with their genders. I did grow up outside of the US, and most of these gift recipients also are outside this country, That may have impacted things. I got a good discussion going on this topic in Facebook when I posted about it. And I still will buy whatever books the kids are interested in for them, never mind their gender! You are an amazing mom and I enjoy reading your blog! Much love from the Philippines! — do you offer therapy, or support by phone or videochat? Do you know someone who does? — what resources can you suggest for me / my son, given that I have not been able to find an appropriate in-person therapist for him / me? There is a gender-support chat for parents. Argh, I am trying to remember the name of the group (it is the group that Lori went to a conference they host). 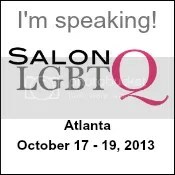 Association for GLBT issues in counseling – or something like that. Found through one of the comments for this post. Lori, If we all had your courage, compassion and tenderness, the world would be a beautiful place indeed. Thank you for making it better for so many of our friends, peers and children. I am humbled and amazed by the consideration that you show your children. The thoughtful and loving way that you approach parenting is an inspiration to me as my partner and I start our own family. I hope that I am able to show my child the same unconditional love and acceptance that you shower your boys with. You do good work, Mom, and don’t ever let anybody tell you different. Congrats! Thank you so much for being brave and eloquent and honest. I am the mother of a gender fluid 7 year old boy and you have helped me feel much less alone in both the joys and the challenges of raising a child who doesn’t fit neatly into conventional gender norms. I just began your book and am still in tears. How you describe your child is so very familiar to me., though our rainbow is our older boy, and our younger child the traditional boy. I sent my son to kindergarten today for the first time wearing what he really wants: girl clothes in pink and his new hello kitty backpack c/o Santa. It has been so scary and tough, but he was so comfortable and happy with it that I really feel like his courage holds ours up. Look forward to reading the rest of your book and your blog. Thank you so much! Still feel like we’re walking blindly through a forest but now less alone. I just cannot thank you enough. Great post……I am thankful for your blog and your book as I have told you previously in an email. The positive thing about going public is that you have found a way to connect with other families who have gender non-conforming kids. That is the one thing I wish I could do for my son. He is eleven, and although he has friends at school, none of them know the real Timmy. He never invites any kids to our house for fear of being judged. He has mostly girl friends at school who play with the same things that he does but he feels like he has to hide that side of himself. Through your blog we have found Chad Allen. He is my sons new hero. So thank you for that. Great post…..I am thankful to have found your book and your blog as I have stated to you via email. I only wish I could find local people to reach out to, and have my son find someone like him. That’s one of the advantages of making your life public. My entire family accepts and encourages my son to be exactly who he was born to be, but at 11 years old it is difficult to have friends. He has lots of “girl” friends at school, but not one of them knows that he loves monster high, or disney princesses. Makes me very sad that he doesn’t have sleepovers and get invited to birthday parties. So thank you again for posting because I share this with him to let him know he is not alone. I read your book a few months ago and meant to write right away. I just want to say thank you for speaking out and raising your kids in such a genuinely honest and loving way. I was really touched by your family’s journey and inspired by it. As a now 25-year-old gay man still figuring out my gender identity, somewhat estranged from my parents who are loving but not supportive, I want to applaud and encourage you for taking the hard road. I sincerely hope that when your kids are 25, they’ll thank you for giving them the support they needed. THANK YOU! My son happened upon this while I was reading it. A while back he asked me not to talk to strangers about him. As a result, I stopped blogging about him (of course). He read this post and we talked about it – about advocacy, the importance of helping other kids like him and teaching others to know it’s okay. I read him some of the blog posts I’d written about him, which brought up more about our evolution. And he gave me permission to blog again. ❤ ❤ ❤ So, again, thank you. Congrats to what you are achieving, you do touch a lot of people. Wouldn’t it be great if CJ later on, as adult, would ask you “Mom, what was the big deal about you blogging, was it really that bad then?” and you would have to explain that yes it was, but that there has been a lot of positive change since (and then you would simply move on to talk about other things). Changes take a lot of time, people like you make sure they do happen! I just finished spending the last two days engrossed in your book. You really opened my eyes and brought up things I never would have thought about. I admire you and your family so much and I really appreciate your courage to stand up for your son, both of them, and allow them to be just who they were built to be! I have been with you since the beginning, since a wayward google search directed me here. You personally answered my email almost three years ago, which meant more than I can say. And yet I’ll say it again. If I had grown up and been allowed to explore, to play with ‘boy things’ and dress ‘like a boy’ as I had wanted to, things might have been very different for me. As it was, I am now a 24 year old female who sometimes dresses like a dude, most of the times dresses like a chick. There’s a lot of overlap involved, too. Often times I’ll wear women’s jeans and a man’s t-shirt, or any combination thereof. I can only say thank you for supporting your son in the best way you can; by letting him be himself. I was told that I wasn’t ‘right’ or ‘natural’, that I was ‘weird’. I recently confessed to my mother that sometimes when I go out to the bar, I go as a man. Gender, for me, is fluid. It will always BE fluid. My sexuality is also fluid. I don’t believe in boxes. I get asked what my ‘orientation’ is and my response is usually ‘a bit of this and a bit of that’. Thank you for everything you do. I have noticed and really appreciated your straightforward, honest, genuine tone. Takes a lot of courage to write that way, and I like to read it. It’s been really lovely to see you evolve as a writer and as a mother to C.J. and Chase. I Can’t thank you enough for “coming out”!!! I read the number one factor turning the tide of opinion to acceptance for LGBTQ is that real people and families like yours (and mine) are “coming out” so now the majority of America actually knows people who happen to have a different sexual orientation and or gender orientation, and they like what they see! They see they/we are wonderful, loving “normal” human beings and not the monsters they/we had been painted to be. As with anything it is so important to have role models to inspire you. You and your family are great role models!!! Thank you! By your writing about speaking up to the school, it inspired and helped me to speak up when faced with a less than acceptable school environment for my son. There is power in numbers; my (gay) son always says he wishes more people were “out” then more people would see how normal it is. Thank you for helping make it safer for more kids to come out by speaking up!!! You and your family are awesome! Lori, I was so glad to meet you last november at Gay Pride in Palm Springs and have you sign a copy of your book for me. I greatly admire and appreciate your journey with CJ, and I also appreciate a lot that your husband. who would be considered by most as a “man’s man” given his professional work, is so totally accepting and supporting as well. His article was fantastic. Dads need that role model as well. I’m looking forward to reading more as your lives go on. I do not have children of my own, but delight in C.J. Your family is amazing. I wish ya’ll lived right next door! In the end we’re parents just doing our best to help our children grow into their wonderful selves, whomever that might be. Sometimes that means breaking new ground. I thank you for your courage to take the steps in creating one life! I can’t tell you how much you have helped my husband and I on our journey raising our 7 year old boy who only likes “she” things. We love him to pieces and could not be more proud. On several occasions I have chosen to read him excerpts of your book and also your blog, especially C.J’s Christmas list! He could hardly believe that another boy would want an American Girl Doll and Barbie’s! He smiled from ear to ear which gave me the chills as he is super sensitive to the fear of ridicule. Ryan only wishes instead of Connecticut we lived in California……”Mom, if we lived in California I would definitely want a play date woth C.J.” Thank you again for helping my kiddo in his journey to realize you can be whoever you want to be and like whatever you want to like! I’ll keep reading!!!! Hi Betsy – I’m in NYC. If we were a little closer we could have a playdate! Our sons are both just like C.J. Thanks so much for all you do, for being brave enough to face the world. I first read your blog just days before the Today Show appearance (because I was looking for info about boys and ballet, actually) and was inspired to go back and read all the back posts once I realized that the person on my TV was the same person from the blog. While we aren’t dealing with the same issues as you are, I think reading your blog is helping me to be a better, more sensitive person and to teach my young children too, which is how the world changes. Thanks! Aww, this made me tear up! I could definitely pick up from your writing over the years that you’ve really come to accept CJ. Acceptance is a wonderful place to be, isn’t it? From one mom to another, thanks, Lori, for your willingness to be our public “face.” And…you’re only 36?!?! Sheesh. Now I feel REALLY old! It’s been 3 years? Now you’re making me feel old!! And you’re only 36? Now you’re making me feel like I haven’t done anything with my life. Congratulations on all you’ve accomplished and on giving me, as a gender conforming adult, the courage to lead the life I’ve imagined!! You’re the best!! Don’t stop writing!! Ever!!! My son is 7, and also a first grader. You have no idea how comforting it is that I am not alone in raising a gender non-comforming child. Thank you for being honest and light-hearted at things that sometimes make me want to cry. I enjoy reading about C.J because it reminds me so much of mine. The day my son wanted to bring his Pink Princess Peach lunch box to school, CJ popped into my head. I pulled strength from your blog and book, and let him take it to school. I had to prepare him for all the comments the kids would make, and let him make the choice to still take it in. When he returned home I asked him how his day went, and about his lunch box. He told me the kids “loved it”. Of course they did. He then told me, “Duh, they all know I like pink!” Thank you again for sharing. You have no idea how much it means to many other parent and children who also are experiencing the same issues. Lori, you are doing an incredible service to the word.. People BELIEVE what they see in the media.Tv. and internet have done more to educate people about many subjects. The idea is to keep putting it out there , eventually people recieve the messege through repeated storming.. It takes time, but more progress has been made in the last 3 yrs than all of history put together. YOU were part of that change. you were part of the educational process that helped to change the world. you and C.J. you took the responsibility,accepted the chalenge. Now, keep it going, Don`t ever stop…!!! It’s been a while since I started reading your blog. It’s been amazing to read how you have overcome so many personal challenges so that your children can be true to themselves. Some posts have made me smile so much as I know the pain of growing up with this inside and not feeling able to show one iota of it to anyone. I finally transitioned last year at the age of 45, something I am sure I would have done years earlier if times had been different (?) or if I had the support you have given your son. People have asked at times what my life was like as a child and I will point to your blog and say I was just like your son, but all the light in my life was hidden away. No one knows what the future holds for your son but I for one know he will face life’s challenges with the love and support of an amazing family 100% behind him. I am sure you would say you were doing what you had to do but it doesn’t always feel that way when I read your posts. You were blessed when you were given your son and he was doubly blessed with you as his mother and your husband as his father. I started reading your blog about 6 months after your start. You were doing what everyone told me I should be doing, writing about it, keeping a record. I often felt like you were writing about what I had experienced at the beginning with my child, who is now nine. Your patient, no rush to judgement, approach helped me stay grounded with my similar approach. What I never thought would be “normal” is the new normal, and is mostly quite comfortable. I feel like we know each other, as I go shopping for Monster High dolls, watch Monster High make up tutorials with my child, and have very high heels pointed out to me by my child. My son is 11 and loves all those things as well. I wonder how your son handles his friends at school. My son Timmy has a lot of “girl” friends at school but none of them know that he loves monster high dolls, or fashion. I wish he had someone he could share his interests with. A lot of gay people, myself included, have gone through the double life dilemma that you have experienced. Coming out was the best thing I ever did. Now I live one life and it’s not all that different than before but I don’t have to show two different faces to the world anymore. Best thing I ever did. Congratulations Lori. I admire you and your family very much. Reading your blog and book is a truly wonderful thing. CJ and Chase both are blessed to have you and your husband for parents! Congrats on your 3 year anniversary! I remember reading your first post that I stumbled upon on one of the LGBTQ news blogs that I normally checked in the morning before heading off to work. I remember crying when I read it. I remember feeling compelled to comment on your first post to express how much your sharing your family’s life moved me. When you published your book and appeared on TODAY, I felt such a huge amount of pride at what you have accomplished over the last few years. Thank you for being an unflinching advocate and positive voice for the community. Wow! This is awesome. The world is changing and you are a big part of that. Your story and your willingness to share has been very important in my own growth. And yes, much easier to live one, real life. Much love to you and your family. And many, many thanks to you. Good for you! I love your blog and appreciate and respect what you have done for your child. Keep on going and doing the wonderful job you are doing, and know that there is MORE love and support for you out there than you even realize! It’s nice that you read all of the comments. But how come you don’t respond to email? I’m guessing because she gets a ton of it, has a day job, is raising two great kids, has a husband who needs support too, and oh yeah, writes a blog. I’m pretty good about responding to all of the emails that I recieve….just not in a timely manner. I’m so sorry!! It’s no problem! I appreciate your response now;) My son is exactly like C.J. — My Little Pony, American Girl doll, Wizard of Oz and all the rest. We encourage him to be himself and he is at a great school that’s very supportive. Fortunately we live in NYC where you can be anyone you want to be. But it can be lonely as a mom and I know that deep down he’d like to meet other boys like him. When I reached out a few months back I had asked you for help to create a support network among your NYC readers. More of a “shout out” that there’s a mom who wants to connect. You don’t need to be attached in any way, I’m just looking for some pals on the same journey as we are on. What you have done is amazing and it would be great to grow the conversation into a network. Us moms need to stick together. Thanks for all that you do. Let me know if you can help. Thanks again.